Clairvoyants and soothsayers may risk a prediction but whether or not Narendra Modi retains his mandate shall only be known on the day the results of tje 2019 Lok Sabha elections are announced. What is certain, however, is that BJP will “win”. In fact, it has already “won”. In as much as it represents a countervailing ideological and political force, the BJP has deracinated the Congress and the rootless, opportunistic, discredited ideas that it stood for. Not just ‘panchayat to Parliament’ where it has already extended an enviable pan-national footprint, BJP’s real win lies in successfully setting the ground rules for parties to fight elections. It has ensured that no matter which way the mandate swings — whether Congress snatches a state away from BJP, or regional parties come together to form an ephemeral third front — political discourse will steadily shift away from pseudo-secularism to Hindutva as the new campaign metric. And parties will be judged (or so they might assume) by how close or distant they are to this theme. This isn’t a snarky take on Rahul's political abilities. By all accounts the Gandhi scion seems to have shaken off his elitist ennui and brought a new urgency to the grand old party’s laissez faire politics. However, it has completely escaped the Congress president that by trying to outdo the BJP at its own game and presenting Congress as ‘BJP 2.0’, he has hastened Congress’s identity crisis. As this oped in The Indian Express notes, "Whether the Congress approach to convince Hindus that it is not anti-Hindu is “soft Hindutva” or not, the Congress president cannot afford to ignore the effects it will have on this central challenge. 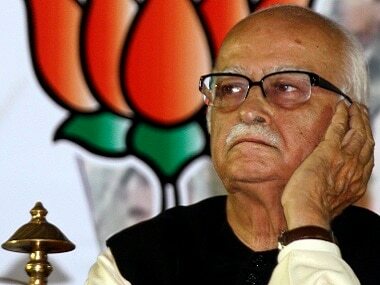 His father, through Ayodhya and Shah Bano, sought to be too clever by half and contributed to competitive communalism. 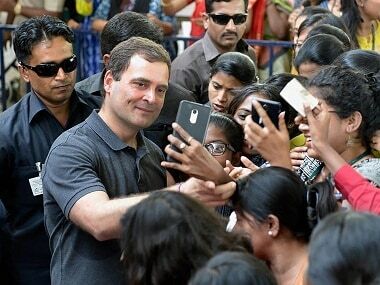 Now, Rahul may be giving shape to a new Congress that is blind to that central challenge. The electoral rise of this new Congress may mark the final departure of the idea of the Congress — a move toward Congress-mukt Bharat indeed." What has compounded Congress’s existential crisis is the fact that it has not been able to manage even this transition with total conviction. It finds adoption of an aggressive brand of Hindutva politically expedient and has lurched forward with gusto but not before seeking to keep a toe rooted in its earlier spot. The result is a tortured posture of self-inflicted pain. The party is torn between this new identity and old habit, and the conflict is coming out in the open. While its leader CP Joshi says “only a Congress PM can build Ram Mandir in Ayodhya and "only Brahmins know enough to talk about Hinduism", Kamal Nath, its Madhya Pradesh handler, tells Muslim leaders during a closed-door meeting that Congress will be finished if it doesn’t get 90 percent of the Muslim votes and that Muslims have to "bear everything" till the day of voting. 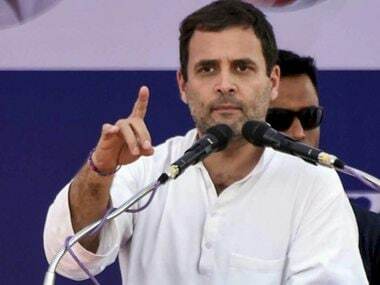 Rahul "admonishes" Joshi for his remarks and seeks to take the high moral ground, but subsequently let slips his “gotra”. In Madhya Pradesh, Congress brings cow shelter, cow urine, treatment of injured cows and last rites for dead cows in manifesto while its draft manifesto in Telangana, another poll-bound state, calls for “free electricity to mosques and churches, special opportunities in government contracts for the Muslim youth, Rs 20 lakh aid to poor Muslim students, residential schools for Muslims, hospitals for minorities, special Urdu DSC (District Selection Committee) for minorities”, according to a report in Times Now. To make these two hypocritical ends meet, the Congress has indulged in a bit of jugglery. The task is being spearheaded by its Thiruvananthapuram MP Shashi Tharoor who is trying hard to convince perfumed secularists who are disappointed in Congress’s sudden right turn, that Congress’s brand of Hindutva is “different” from BJP’s. "We decided that it was time for us to avow our faith," said the Congress MP at a LitFest in New Delhi on Sunday, “but to do so within a framework of inclusiveness and acceptance of other faiths,” he claimed. Tharoor, who has written a book on Congress’s vision of Hinduism, claimed in an essay that the BJP is waging a “war on science” with what he calls “propagation of pseudoscience”. He didn’t care to explain how Congress’s propagation of “scientific temper” squares with its manifesto in MP where the party has vowed to initiate commercial production of cow urine if voted to power. These inconsistencies are inevitable when a party seeks to mask its existential crisis in intellectual dishonesty. Tharoor’s erudition might not be enough to save a party that has lost its mojo. The Congress may yet script a political victory in a state or two or back an amorphous conglomerate to keep the BJP out of power, but it has lost the larger ideological battle convincingly and decisively. That bit is clear.